Soap that’s rough around the edges but silky smooth inside. Walnut relieves skin problems, coffee and ginger accelerate blood circulation. 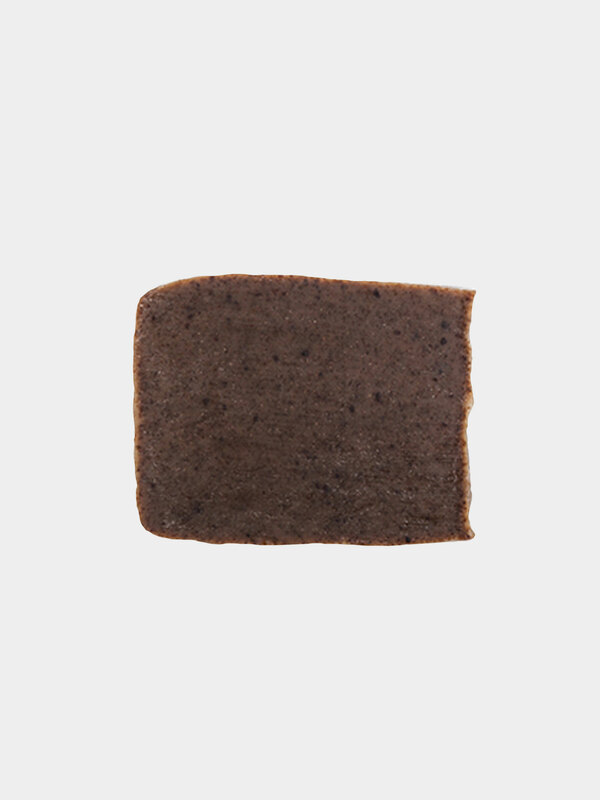 Soap contains: saponified olive, palm, sunflower and coconut oil, ground coffee beans, ground walnuts, ginger. bellaOpera soaps are handmade bars of natural soap. bellaOpera soaps are delicately perfumed and colored only with natural essential oils and colorants. Carefully selected, 100% natural ingredients and a tested recipe ensure that our soap gently cleanses as well as nourishes the skin, with elements for additional soothing and hydration. It contains: saponified olive, palm, sunflower and coconut oil, ground coffee beans, ground walnuts, ginger. Soaps are made for you and for the environment, without artificial additives and harmful ingredients. Every soap is handmade and hand packed in Slovenia by Anja and Alja. Due to the handmade production the bars can slightly differ in its shape, color and smell. Products are not tested on animals.